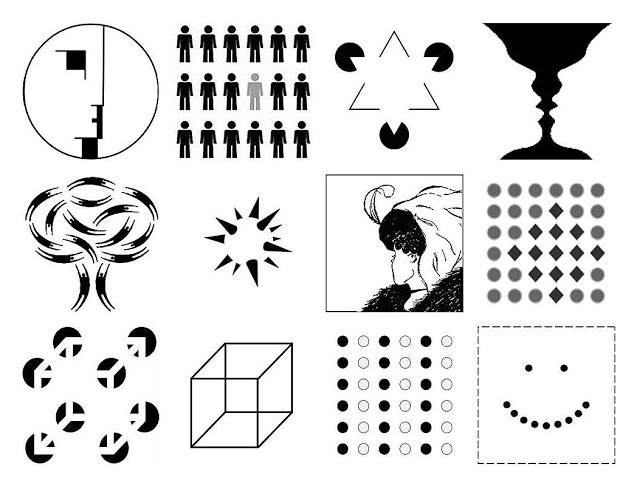 Gestalt is defined as: something that is made of many parts and yet is somehow more than or different from the combination of its parts. I would like to propose that it is the gestalt of wet shaving that is so rewarding. There are numerous postings about brushes, soaps, razors, music, scent, lather, etc. and it is when all these components come together that we have the shave to remember. A quick comparison to music- Harry Pearson former editor of The Absolute Sound has written extensively about the gestalt of recorded music. Some of the terms bantered about include, palpability, staging, depth, scale, dynamics, soundstage, rhythm, pitch etc. Listening to a state of the art system (easily more than $100,000) you would probably say that it has all those characteristics in spades. Yet if your neighbor were playing a single guitar, it would be easily recognizable as “live”, superior to the mega system. You may have noticed that when you hear music from a distance, you can easily recognize it as “live” or recorded. So it is with shaving. When all of my senses are in play the “task” at hand is rather enjoyable. I hear the music. I smell the soap. I see the lather. I feel the blade. I enjoy the time that I take. If I miss any of those my shave might be satisfactory, but that special something, will be missing. I agree, I think. It is the combination of a great many things, including the individual person driving the shave that makes each one unique. Your post about music reminded me of an example of this in my own life. As a musician who has been a guitarist for over 30 years, I cannot count the times that a particular combination of players, moods, and even the venue and the audience itself, have turned a typical performance into something that could not be repeated if we (the band) tried. Magic. There have also been times (many) when a performance has been recorded and listened back to, and I can hear as the lone guitarist in the band, notes and licks I did not play. Again, the combination of the players and all the other instruments, and the way the music was played that night came together and made the performance much more than the sum of it's parts. Again, magic happened. Or times on stage when the band was playing so well together that it literally did not matter what we did; everyone of us was locked together so tight that we could not make a mistake if we tried. As a musician we truly lived for and in those moments. Well said, Steve. Thank you for sharing this. Yep. Every shave for me is like that. An individual, never quite able to be repeated exactly the same again. Thanks to everyone for the kind words. My mind does tend to wander when I'm shaving. (10-25-2014, 08:41 AM)Jbrent Wrote: Thanks to everyone for the kind words. My mind does tend to wander when I'm shaving. As does mine, and so the attraction, or at least part, of it. I'm up before dawn shaving in a black, Soto Zen, kimono. I hear the trumpeting of big,grey Canadian geese flying overhead in a strong V of @ 30 birds. I love geese. They followed me up and down the pacific coast during military service. In college I worked in a horticultural orchard and refuge to abandoned ducks,geese and a pair of swans. You haven't lived until a swan walks up and lays it's neck on your lap in total trust. I step outside as the dawn begins breaking and see them overhead. My neighbor steps out, looks at the geese, me,the geese and shakes her head WITH A SMILE. I still have soap on my face. The triangle in the first row and the ball with spikes are two of my favorites because neither the triangle or the ball is there. They literally aren't there. Yet you can see them plain as day. Your brain comes up with it to make sense of the cues or context that is there. I wish my brain would come up with a nice soft Thater 2 band that was as convincing. I too enjoyed your post. A fine shave shave is truly greater than the sum of its parts. It's hard to explain to uninitiated. Brilliant thoughts, thanks for sharing, and to all keep dearching for your GESTALT moment. Nice write and perspective, guys! Interesting the intertwining of music and shaving comparison. I've been involved in music one way or another for most of my life, certainly longer than I have been shaving (and that's been a very long time). And though I can see and understand some of the comparisons, that perfect shave is that "bingo/zen moment" while the perfect music experience goes deep in to the soul. (10-28-2014, 03:15 PM)Johnny Wrote: Interesting the intertwining of music and shaving comparison. I've been involved in music one way or another for most of my life, certainly longer than I have been shaving (and that's been a very long time). And though I can see and understand some of the comparisons, that perfect shave is that "bingo/zen moment" while the perfect music experience goes deep in to the soul.